Today is my sisters birthday and we decided to go for a lovely Afternoon Tea in London (blog review here)! Here’s a look at what I chose to wear! 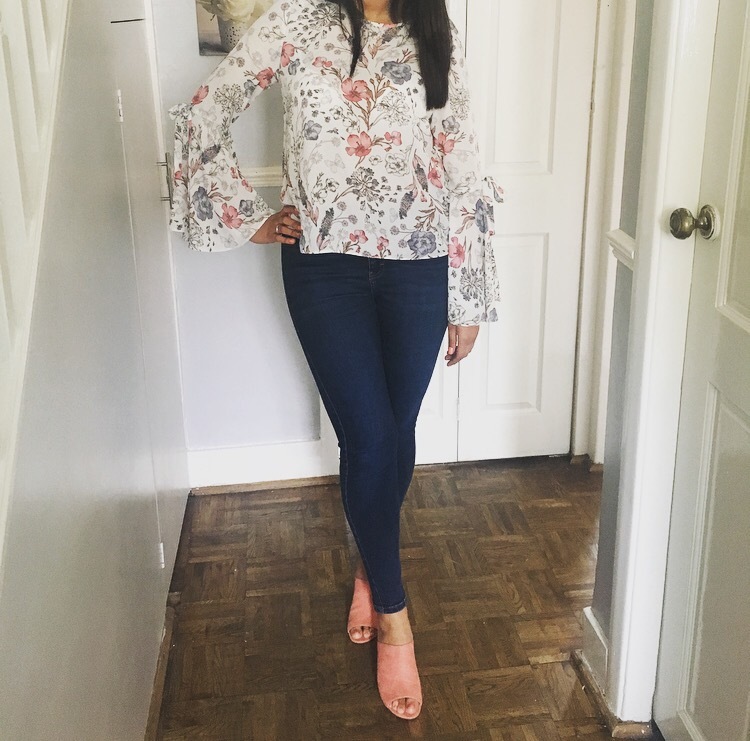 The blouse is from Primark at £10 (such a bargain)! Love the florals and flared sleeves are always a fave. The jeans are Topshop, I always choose my trusty Jamie jeans and this dark blue shade is perfect. The Mules are my new love this season! In a beaut dusty pink shade in a soft suede fabric with a mid heel, perfect for those spring days! Only £19.95 from Marks and Spencer.